At Woodland Kindergarten we care about eating well and where our food comes from. Most of the food we provide is organic; we use a local food supplier 'Barra Organics' who deliver to us weekly. A morning and afternoon snack is provided in the kindergarten and holiday club. We also get cows milk from them which is also organic and honestly the best milk I’ve ever drunk! We drink a mixture of 'milk' types including soya, oat and rice milks. Being outside in the cold means we often offer warm drinks including, hot sugar free squash, fruit tea, hot chocolate, honey and lemon. We are very lucky to have bee hives on site belonging to ‘The Friends of Lynwood Gardens’ they are quite hidden and fenced off, occasionally we will visit them with the bee keeper. We use our own honey in recipes and drinks. We also forage a lot at suitable times of the year using books to ID, trying out new recipes and always leaving enough for wildlife. Although we investigate and (try to) ID Fungi we don’t eat it due to the risks of it being incorrectly identified. We have an extensive herb garden, forest garden (including a Victorian pear tree and large growing area to plant, grow and harvest our own fruit and vegetables. 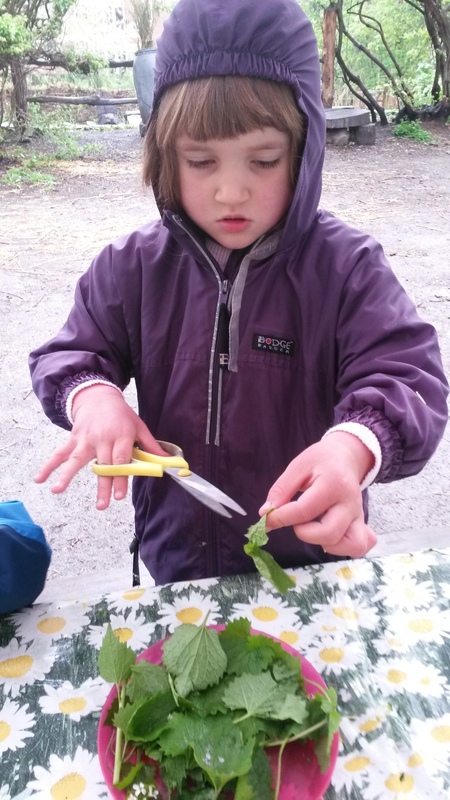 Preparing and cooking is a massive part of our learning with children using peelers, knives and other equipment to cook snacks on the fire or barbeque. 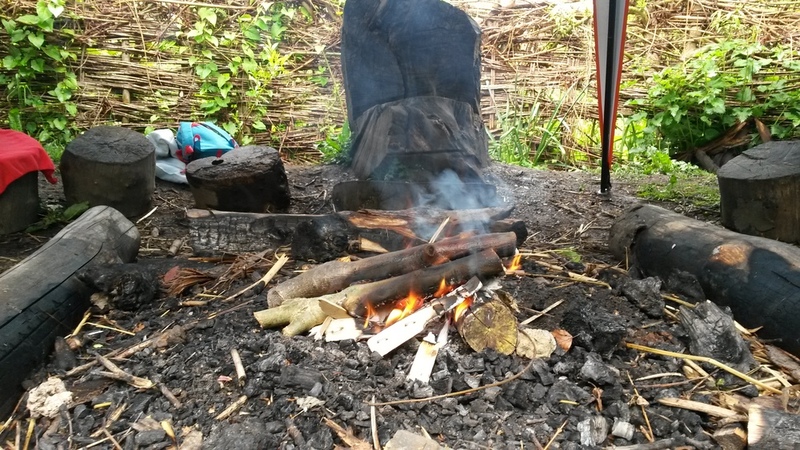 We provide a healthy balanced snack morning and afternoon for the children, cooking on a fire and being outside in the cold does lend itself to sweet treats, carb heavy and plenty of hot chocolate. Please let us know if there is anything you do not want your child to eat. We cater for children with food allergies, we try hard to provide snacks that all children on that day can eat together so that we are not segregating anyone minimising the need to provide an alternative. We also discuss openly why some children can't have certain things and why helping them to understand each others individuality. If your child has a food allergy and you would like to discuss it further please get in touch with us.